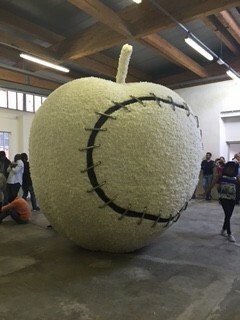 The exhibition L’Albero della cuccagna. Nutrimenti dell’arte, curated by Achille Bonito Oliva, was inaugurated strolling through Cittadellarte. Point of arrival of the journey, the new venue of Terzo Paradiso opened by the sound performance “Rivers” by Yuval Avital featuring a strong social and humanitarian character. Saturday 26 September took place at Cittadellarte – Fondazione Pistoletto the dual opening of the new permanent home of the Terzo Paradiso together with the exhibition project by Achille Bonito Oliva, L’Albero della cuccagna. Nutrimenti dell’arte. The event was organized through a wandering among the various venues of the Fondazione Pistoletto. Unlike other Italian venues, here L’Albero della cuccagna has been developed horizontally thanks to the interpretation given by the young resident artistsfor the assembly of La strada dei carretti that led visitors to the new building conceived for Terzo Paradiso, an industrial architecture recovery of a former manufacturing factory. During the inauguration debate, held around the Mediterranean Table – Love Difference (M. Pistoletto, 2003-2007), Bonito Oliva emphasized that in Terzo Paradiso lies the ability to combine form with function in accordance with the dictates of a responsible art dominated by the human experience. The Terzo Paradiso becomes then a widespread reality in the world in which the artist opens to the productive dialogue. 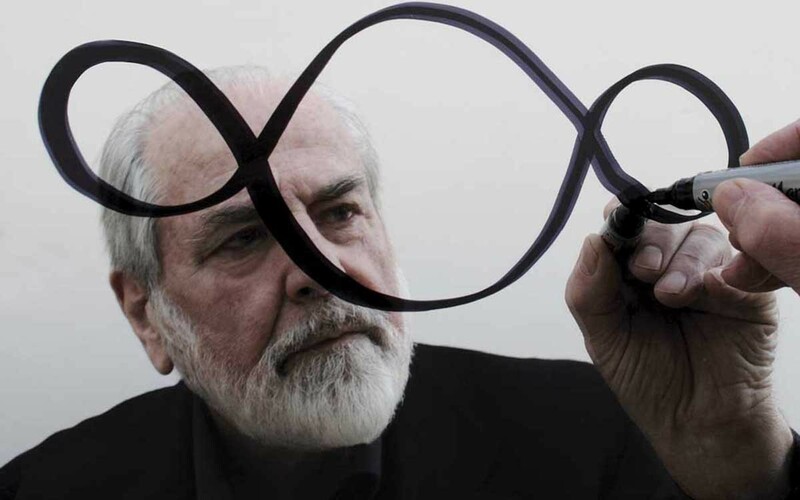 Pistoletto, mentioned the theory of trinamica underlying the generative process of the artwork. According to the artist 1 + 1 = 3, as well as the union of two individuals leads to the creation of a third party, the union of natural paradise and technological paradise promised by the progress generate, through the sharing of differences, a new paradise conjugate. Wollen. La mela reintegrata (Michelangelo Pistoletto, 2007). When asked about the function that the new building will play in time, the artist confirmed the lines of principle governing the Cittadellarte: “a space devoted to the participative art for a generative process and re-creative meeting place for a renewed and responsible society”. 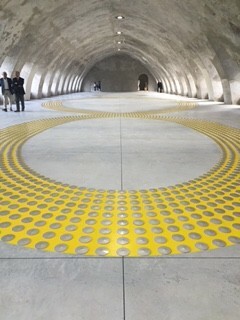 On the other hand, the great hall of Terzo Paradiso is, and will remain, a contemplative space in line with the artistic and ideological spirit of another installation here showed: Il tempo del giudizio (2009), belonging to the cycle Multi-confessional place of meditation and prayer.